I just got back from a fun fishing trip with two of my friends. 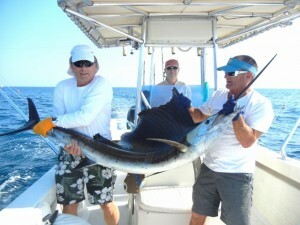 We caught twelve of these beautiful 10 foot sails. We fished from a small boat and did everything ourselves, with only directions from the captain. Talk about fun!